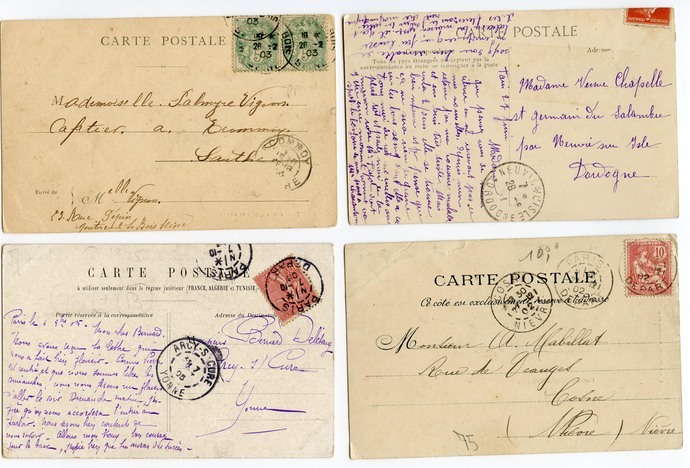 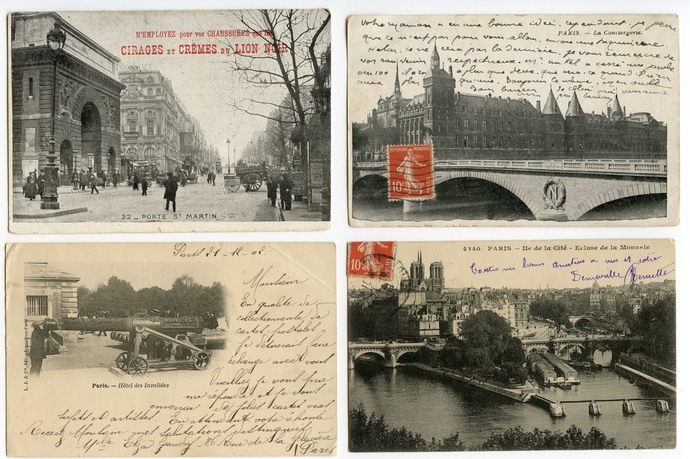 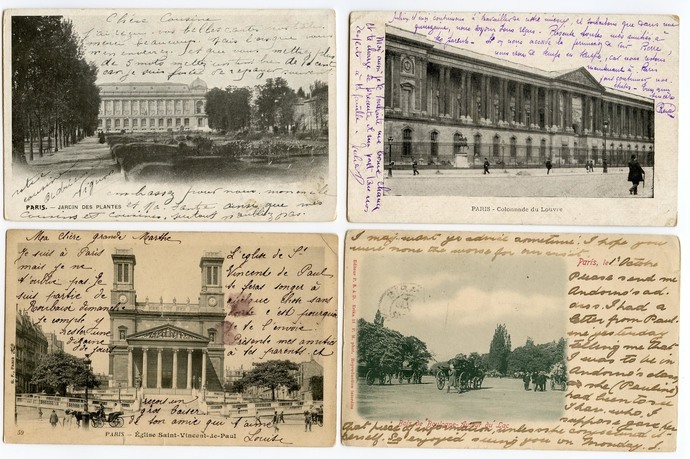 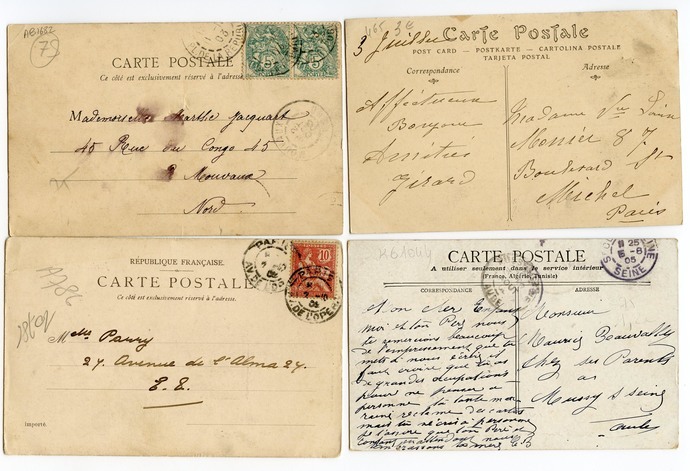 Most of these French postcards are franked 1902 and 1903. 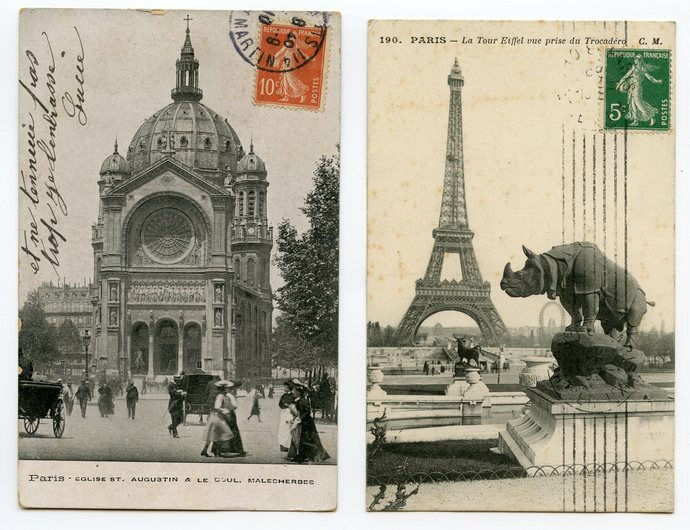 I believe the 'newest' one is the Ile de la Cite dated 1911. 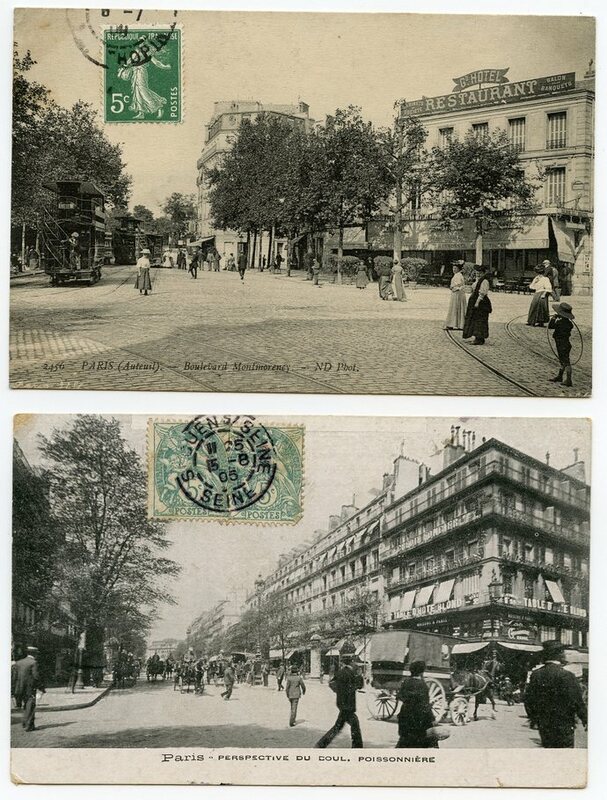 These cards are 'shabbily chic' with French script and messages -- except for the one unused card of Porte St. Martin [a place I recommend to see on your Paris visit], which is an advertisement for Black Lion shoe polish. 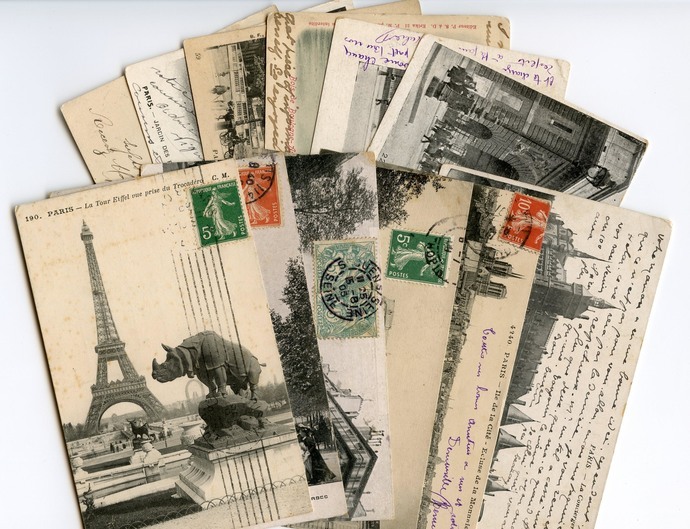 With such wonderful postal cancellations and stamps, there's a lot to glean here for the artist, scrapbooker or someone looking for an instant collection. 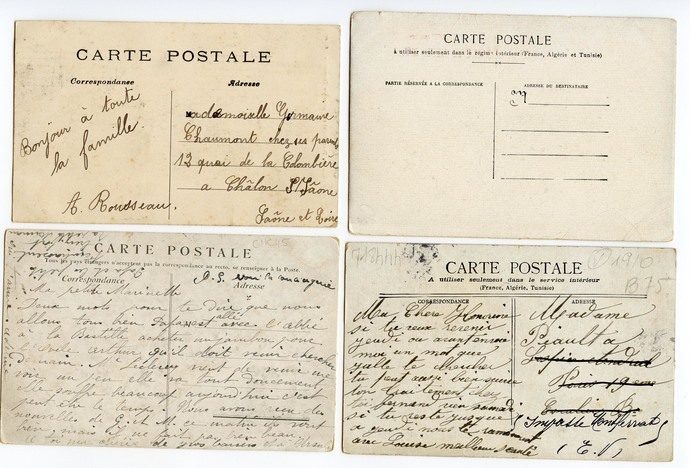 Each card is about 3.5 by 5.5 inches.